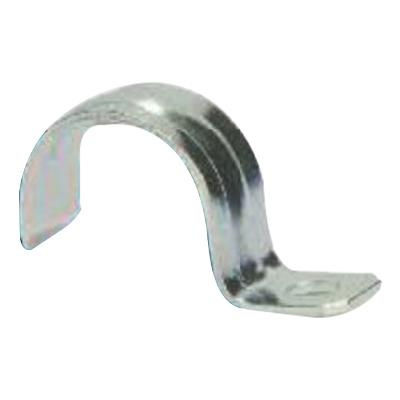 Sepco 1-Hole Click-on strap of trade size 3/4-Inch, features malleable iron construction and zinc-plated finish. It has length of 1.75-inches and band width of 0.75-Inch. This 0.312-Inch hole strap is suitable for rigid conduit or IMC.